STRP is a yearly festival in Eindhoven with visual art, technology, performances, workshops, and a two-day conference. It aims to ‘explore scenarios for a positive future’. This year the programme revolves around an open yet critical view of the nearby future. The artworks are thought experiments, related to questions such as: What if we could converse with our pillow? What if we could use virtual reality to build our own city? STRP provides food for thought, especially when it comes to the interaction between humans and technology. Immediately the entrance is an immersive experience. A vast, dark, misty hall is home to the audiovisual installation ‘Between Mind and Matter’ by Salvador Breed and Nick Verstand. Lights from laser beams form patterns in the air and on the floor, which ripple to the rhythm of a music beat. Altogether not a groundbreaking new concept, but interacting with the lasers definitely provides a fun and aesthetically pleasing experience. Moreover, it is highly Instagrammable. The visitor becomes an even more active participant in Lauren McCarthy’s work ‘Waking Agents’. For ten minutes you rest on a comfortable, interactive pillow. After a polite introduction, the pillow begins to ask what she can do for you: tell you a story, play some music, drift you off to sleep, or just have a nice conversation with you. This might appear as a gimmick at first, but during these ten minutes the participant can become surprisingly well acquainted with the pillow. The uncannily accurate reactions and propositions make for a realistic, proper conversation. The result is a – perhaps too easily gained – familiarisation, taking away upheld walls often experienced in interpersonal conversation. As the artist explains, the work is an exploration of conscious and unconscious agency. This agency is most apparent in Yann Deval and Marie G. Losseau’s project ‘Atlas’. The visitor engages in an augmented and virtual reality. 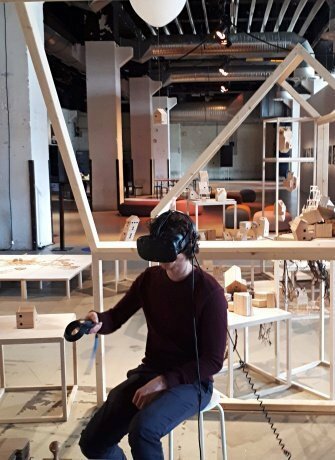 The first is an experience with a headset on, through which the large installation with wooden structures in the form of a town is seen. You actually walk through the space and see this town. The augmented part is being able to add your own buildings to it. This happens by the mere snap of the fingers. In the second part, you sit with a VR headset on. You can virtually walk through and fly over fantasy islands using a controller in your hand. Here too you can build a city. It is The Sims on a whole new level. However, whereas the participant tries to decide where the structures need to be, the system decides what it looks like. Furthermore, the system does not always do as you please. The central theme in STRP of human-technology interaction can be underpinned with so-called enactive systems and enactive media. Mauri Kaipainen et al. explain how nowadays the interaction between human and technology is not a matter of using technology as a tool, nor of controlling it. Rather, it is a reciprocal, dynamic and embodied process. Both human and technology have agency, and both are active participants. STRP aptly brings this to the forefront. In an enactive system, human and technological processes are interlinked. In other words, technology is an equal part of perceptual and cognitive human functioning. The interaction is not goal-oriented, but “driven by bodily involvement and spatial presence of the human agent” (Kaipainen, 2011). We recognise this involvement especially in Yann Deval and Marie G. Losseau’s and Lauren McCarthy’s work. As we have seen, both the participant and the technology keep their agency. There is no control from human over system. Instead, they complement each other. Enactive media are a form of enactive systems. 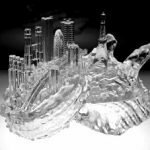 They are a mediation of meaning through physical and spatial engagement. Put differently, someone’s actions are of direct influence on the way meaning is communicated. These actions as well as one’s experience modify the content and/or outcome of enactive media. 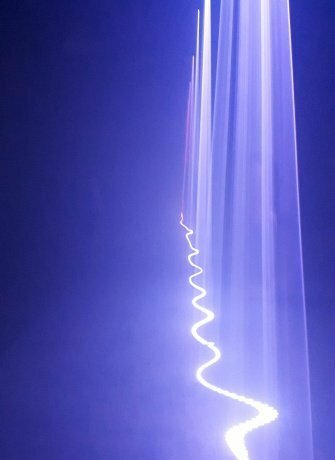 For instance, where in Salvador Breed and Nick Verstand’s installation the movements of the person merely change the direct line of the laser, it does not influence its meaning or direction. 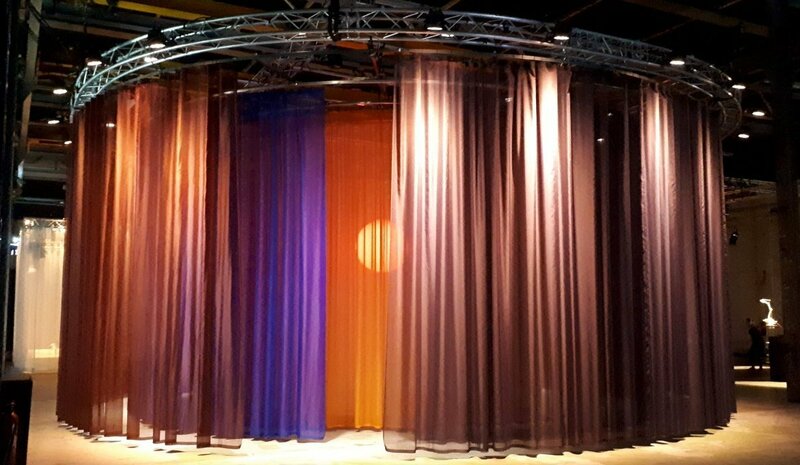 In the case of Merijn Hos and Jurriaan Hos’s work, however, physically walking through the curtains changes the outlook and possible interpretation of it. Enactive systems and media are a continuous exploration of perspectives, constantly updated and restructured. Precisely this is the objective of STRP Festival 2019. The artworks tackle contemporary matters of human-technology interaction. The approach of thought experiments in favour of a positive future (instead of a so-often imagined dystopia) is uplifting. It makes you aware of your actions in and on the world. And after having experienced all these technological hyper-realities, how poetic is it to exit the exhibition through a room packed with plants in bloom – through the epitome of nature. STRP Festival is on until 7 April 2019. All rights reserved. All materials on this site are copyrighted and may not be used in any way other than personal use unless authorized or stated otherwise by Stichting SEA. Reproduction, modification or storage, either digital or analogue are strictly prohibited without written permission.